An earlier post provides an overview of the various types of patent-related searches [Link], and another post summarizes some typical high-level steps taken in performance of a patent search [Link]. The following closely follows the overall search process described in the earlier post, but here concentration is on patent mining searches specifically. 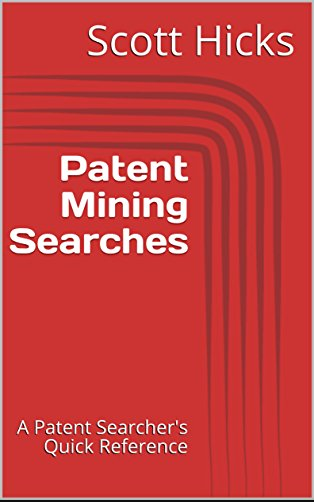 A mining search is carried out in order to find and gather related patent assets — mining searches are usually performed for at least one selected technology area. This type of search is often executed on behalf of an entity which owns many patent assets and which may therefore not be fully aware of the scope of their portfolio. The patent assets uncovered in mining searches may then be rated, and these ratings can be leveraged to gather related assets for licensing or divestiture collections, and can also be used for maintenance decisions. Patent mining searching is an iterative process requiring continual refinement throughout searches, and it is often scoped to conclude with a set of a specific number of relevant patents which will then be reviewed in further detail. Sometimes the objective is to find all patents within a given technology area, but normally the objective is to find a specific number of patents within a given time limit. The scope of a mining search is not always limited to one owner’s portfolio, and for acquisition considerations, a mining search may include patents from a set of owners or even from any owner. Sometimes a limitation is put on searches to find only those patents with a specific amount of residual in-force lifetime. Not all steps below necessarily need to be performed in the order listed, though this order has been shown to work well. Nor do all steps need to be performed at all – in practice, some search refinement often must be skipped due to time constraints. A patent analyst should continually consider the most productive path for gathering the strongest final set of patents based on what is discovered through search results along the way, and based upon given time constraints. The set through which to search may need to be limited to one or more specific assignees or to one provided patent set. 1. Review technologies and target companies/products associated with the project. This step should definitely be performed first. 2. Formulate keywords and Boolean queries. Be prepared during searches to further refine the keyword set and Boolean queries. 3. Become familiar with patent search software functionality (if needed for the given software). 4. Perform searches using various keywords and Boolean query combinations. Perform first-pass searches using very targeted keywords and Boolean queries so as to find what may be the strongest matches up-front. Using these strong matches, you can leverage these patents to determine relevant patent classification codes and to perform semantic searches later. This step may be considered complete once all technology areas have been sufficiently searched. 5. Search using relevant USPTO/WIPO/EPO classifications (USPC, IPC, CPC). Relevant class codes can be manually determined through selected patents, and some patent search tools will indicate the most prevalent class codes in a patent set. 6. Search using the most relevant and prolific inventors found so far. 7. Search using cites/cited for patent references — reverse and forward citations, respectively. 8. Perform semantic searches using text from some of the best assets. Patent search software tools that provide semantic search functionality are recommended. 9. Know when to stop. This is probably the most difficult step, though budgetary constraints will often dictate this step. One good method to know when to stop is to see how the semantic searches pan out. If results from the semantic searches align well with earlier findings, then consider the search to be complete — if not, and the results appear to open another avenue, then continue refinement and searches until results become much less productive (i.e., the same assets keep showing up and new searches result in little or nothing new), within the budgeted time window. 10. Pre-filter the current asset set to eliminate patents that can quickly be dismissed and to get down to a specified number of results, if any. 11. Consider capturing family members of the most relevant references (siblings, parents, and children). You may wish to skip this step for now and only come back to it in a subsequent phase once most patents have already been filtered out. The reason being that patent families often fall together, and having too many assets in the same family might push out more relevant assets. The risk with not including family members is that a less relevant family member may be filtered out without providing the opportunity to review a well-aligned relative. 12. Collect and output the resulting set for next-stage analysis.